We recently covered the various accounting certifications available in the United States, but it's important to note that there are many other types of accounting certifications available around the world. Today we're going to look at those in Canada. There was a considerable change in the past decade in Canadian accounting designations. 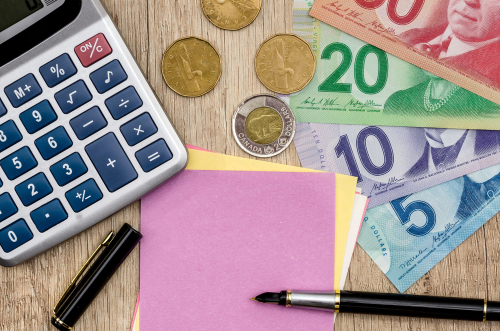 In 2014, Canadian accounting bodies agreed to combine under the Chartered Professional Accountant label across the country - even in Bermuda, where accountants still fall under Canadian accounting standards. This meant that Chartered Accounts (CAs), Certified Management Accountants (CMAs) and Certified General Accountants (CGAs) all fall under the CPA flag. Let's first look at those three designations. This is one of the oldest accounting designations in the world. In fact, it was the first formal accounting designation, period. There are still chartered accountants in other parts of the world, including Scotland, the European Union, and India, to name a few. While requirements vary by country, the standard in Canada was always an undergraduate degree along with three years of training in select accounting firms, as well as passing the three-day Uniform Final Evaluation exam. While the CA label is nearly obsolete in Canada after the merger of the accounting bodies, you can still earn the designation if you were a member in good standing in an equivalent organization like the Institute of Chartered Accountants in England and Wales. Visit CPA Canada's website to find out more. The Certified Management Accountant (CMA) certification was awarded by CMA Canada until 2014 when the unification with CPA Canada was enacted. It is still possible to earn the CMA designation in Canada, thanks to the legacy agreement in place with the Chartered Institute of Management Accountants. You must be a CIMA member in good standing and possess a university degree (or equivalent), be legally entitled to work in Canada or be a citizen, have a residential or business address in the province you reside, have declared any criminal or disciplinary action, have not previously attempted and failed a CMA Canada or CPA Canada qualifying examination, and have completed the application form, prior to admission and while a permanent resident or citizen of Canada. Visit CPA Canada's website to find out more. The Certified General Accountant (CGA) certification was awarded by CGA Canada until 2014 when the unification with CPA Canada was enacted. While it is possible to obtain the CPA, CGA certification if it wasn't received before the unification, it isn't quite as simple as the CPA, CMA certification. There isn't one international governing body like the CIMA, so the legacy agreements vary based on where you obtained your initial certification. Visit CPA Canada's website to find out more. The Chartered Professional Accountant (CPA) is the ultimate accounting designation in Canada now. Similar to the CPA designation in the United States, the CPA designation is the gold standard in Canada. It is granted by CPA Canada and has been developed to be an internationally recognized accounting and business credential that protects and serves the public interest. The Canadian CPA program meets or exceeds the International Federation of Accountants (IFAC) standards for education, assessment, and practical experience, as well as the requirements of the leading global accounting bodies, ensuring that mutual recognition agreements are available to Canadian CPAs. The CPA certification requires all CPAs have a strong foundation of knowledge and skill, which is why they have developed the CPA Competency Map. The map describes the two types of competencies that employers in public practice, industry, and government require of accounting professionals - it essentially lays the groundwork for the CPA certification program. For those wishing to obtain their CPA, it is the road map to follow. Going forward, all students who wish to become a CPA must study accounting, but may also choose another area of specialty such as strategy, auditing, finance, and tax. Existing accountants will use the CPA designation along with their former CA, CGA or CMA titles until November 2022. After that, they can opt to stop using their former titles and only call themselves CPAs, or they can continue using CPA with their former titles. In another post, we'll dive into the differences between accountants and bookkeepers, and what the difference is - but for now, we'll leave you to ponder the impact of these changes. Next time, though, we'll be covering accounting designations in the EU.